Stop by for music and cheer on a Saturday afternoon (around 3 – 8 pm)! Ho, ho ho! Join us for our 6th annual Toys for Tots event at One Pelham East in beautiful Newport, RI! Bring a new, unwrapped toy or an appropriate gift card to make the Christmas season a little happier for a deserving child in Rhode Island. We’ll be joined once again by the great people of Santacon Newport, who always bring a festive attitude! 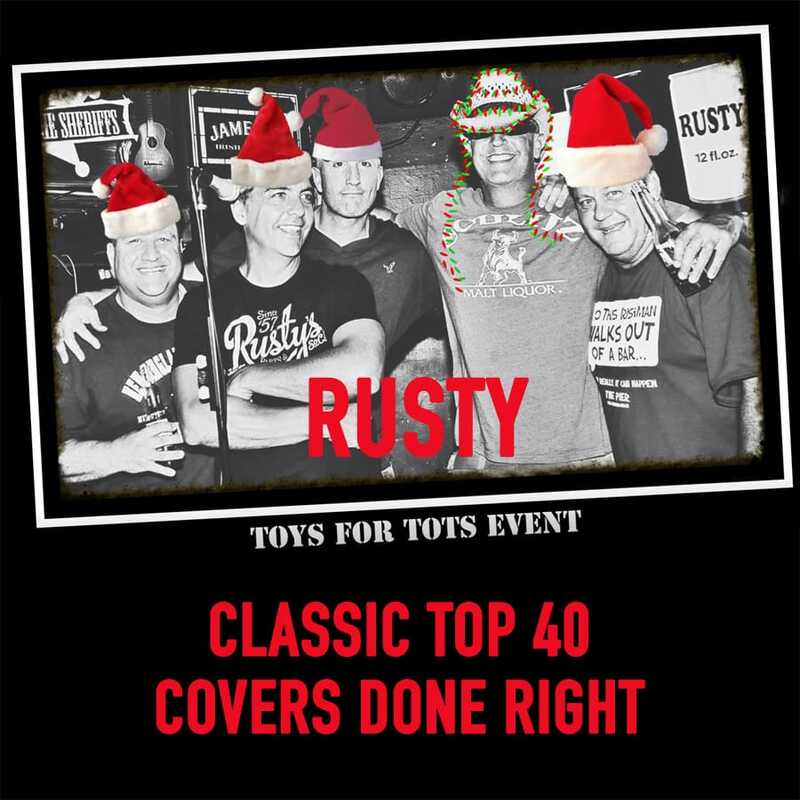 So, get in the holiday spirit, make this Christmas a great one for a local child, and rock out to the sloppy sounds of the 117th best cover band in Rhode Island – RUSTY! Hope to see you there!!! Spread the word – the more Santas the merrier!